Channel effortless bohemian chic and hippie vibes with these flounce trumpet sleeves that create amazing movement, and exudes the romanticism and elegance of the Spring season. 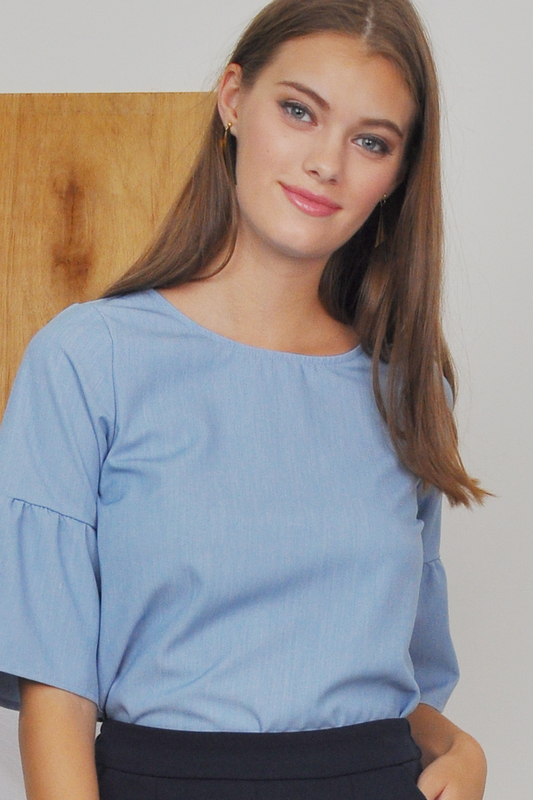 What makes dramatic bell-sleeve tops so flattering is the voluminous fabric, which balances out the arms and makes them look slimmer in comparison. Not only that, but they instantly make any outfit feel fresh, interesting, and almost ethereal. Wear with a basic bottom to keep your look street-ready.